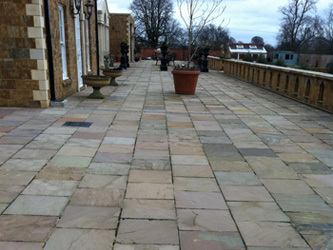 Goode Stone Supplies Ltd provides high quality stone products. We are able to source a wide variety of stone from across the UK and overseas and help advise on the design and installation process for private, commercial and new build sectors. All types of projects from small carvings to large industrial sites are all carried out to the highest specification. We pride ourselves on our commitment to provide a professional and speedy service at all times, whilst maintaining the highest quality of work. With the use of our three 5 axis CNC saws we are now able to process larger volumes of finished masonry. The saws, which work fully automatically are a great asset to the production line and allow us to run 24 hours 7 days a week, giving us accuracy to a zero tolerance finish. 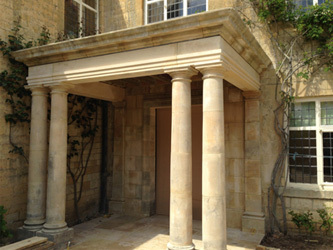 We are suppliers of large quantities of building stone from sawn, split and tumbled, hand dressed and ashlar walling. 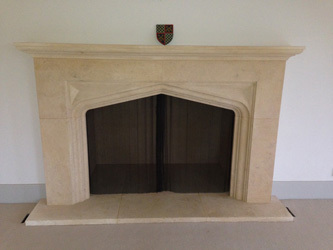 Upon specification we are also happy to supply both new and reclaimed material. Goode Stone Supplies are able to supply a wide array of flooring stones, including both new and reclaimed: York stone flag stones. Mill flags. Good grade Cathedral grade. Hornton flagstones. Cotswold flagstones. Goode Stone Supplies Ltd are currently at the forefront of Ironstone products within the UK. Due to our close proximity to Great Tew Quarry, the only Ironstone quarry in the country, we are able to offer the highest quality ironstone products for building, landscaping and architectural designs. We are able to supply large volumes of building stone, architectural masonry, sawn, split and tumbled, hand dressed and ashlar walling. We can also supply both new and reclaimed material. With the use of our three 5 axis CNC saws, we are now able to offer high quality bespoke masonry contact us for more details.